The IBPS PO Mains Examination 2017 was over last week and after the most sought exam was over. The RBI Assistant Prelims Exam 2017 and also the first two days of the IBPS Clerk Prelims Exam 2017 also got over in this week. So the exam month still has a part o IBPS clerk Prelims Exam 2017 and IBPS SO Prelims 2017 in the forthcoming days. The prelims was a real surprise for many of the candidates and the surprise element were kept in every batch of the IBPS PO Prelims Examination 2017. All the slots had different topics to it’s total and there were distinct topics for distinct batches. So does the same pattern got followed in IBPS MAINS EXAM 2017 too. Since the Mains Examination is concentrated to a single batch for all the states distinct topics cannot be predicted as there was only one batch. The Topics asked were entirely new for some topics and maybe we can quote as new pattern of questions can be definitely expected in the future Mains Examination too. You can check the review of the IBPS PO Mains Examination from the link given below, You can also find the link to the general awareness questions asked in the IBPS PO Mains Examination 2017 from that given link, Check below for it. To arrive at the expected cutoff marks for this 2017 IBPS PO Mains Cutoff marks , we should also have a look at the official cutoff marks of the IBPS PO Mains Exam 2016. So the overall cutoff marks of the IBPS PO Mains Cutoff marks for last year was 52.50 for the general and OBC categories. You can have a look at the cutoff marks of the IBPS PO Mains Examination 2016 from the table given below. As you can see the cutoff marks was low last year , also you should note that the questions of the last year IBPS PO Mains Examination 2016 was really tough and so the cutoff marks was really low. Actually when compared to the question set asked the previous year, this year questions had same level of difficulty in some of the topics. Last year IBPS PO Mains Examination formed the base for this year SBI PO Prelims and Mains Examination. So you can expect the same thing in the forthcoming days too. The feedback from the aspirants who have written the exam of IBPS PO Mains Examination 2017. The analysis and feedback from the Analysis team. The Reasoning section had the extreme questions in terms of difficulty in the IBPS PO Mains Examination 2017. Puzzles and Seating arrangement will be in the extreme condition in terms of difficulty in the Mains Examination and this exam is no exception from that. The Seating and Puzzle sets were time consuming one. Surprising factor for this section was in the form of Statements and Arguments because in the recent exams this section was not asked and this added elements of surprise to the candidates. When everyone was searching and preparing for the reasoning section and especially computer aptitude section , that was not asked at all in the Mains Exam. Coding and decoding questions along with coded inequalities was asked which added another mystery in the reasoning section. The next surprise for the Aspirants writing the IBPS PO Mains Exam 2017 was the English section and everything was new to the aspirants, Only the Sentence rearrangement was asked in the old format. Even the reading comprehension was different with two paragraphs were given and questions were asked from both paragraphs. The Synonyms and Antonyms based questions were asked which are not a part of the reading comprehension. The Cloze Test was also different with sentence filling was asked in the Cloze Test. Next comes the section which could decide the overall marks of the candidates in the IBPS PO Mains Exam 2017. Case study and Data Sufficiency questions made difference to the questions asked. These were tricky and and were little time consuming. Missing numbers and DI was as usual in the moderate range. So overall this section was the easier one to solve (compared to other sections only). 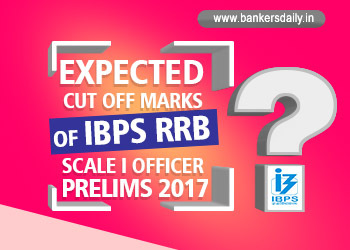 So coming to the expected cutoff marks of the IBPS PO Mains Examination 2017, the following factors which were told before plays an important and major role in determining the cutoff marks for the IBPS PO Mains Examination 2017. When seeing the visualizations and the feedback from the above chart , the 70 – 100 questions attended takes the majority percentage. So can we take that as the official ones. So the arrival of the expected cutoff marks is based on the errors that each candidate could have done and also considering the negative marking criteria. The probability of arriving at the score also included the corrected answers which are simple to attend and excluding the questions which are more difficult to interpret. 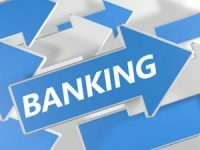 This is also in consideration with the General Awareness along with banking awareness section which was easy when compared with all the other sections. The level of difficulty was great when compared to the prelims exam of IBPS PO Exam 2017 in some sections and topics of the IBPS PO Mains Examination 2017. You can also check the general awareness questions asked in the IBPS PO mains examination 2017 because some of the questions may even occur in a different way in the forthcoming exams, so never leave any stone unturned. You can check the Last minute tips for the IBPS PO Mains Examination 2017 from the link given below.